Blend together all ingredients for the caramel ice cream in a high-speed blender until creamy and smooth. Pour in 6 icy-pop moulds. Freeze for 5 hours or overnight. In a small bowl, mix together the ingredients for the biscuit crumb. Set aside. Remove the ice creams from the moulds (tip: run some hot water over the outside to remove more easily). 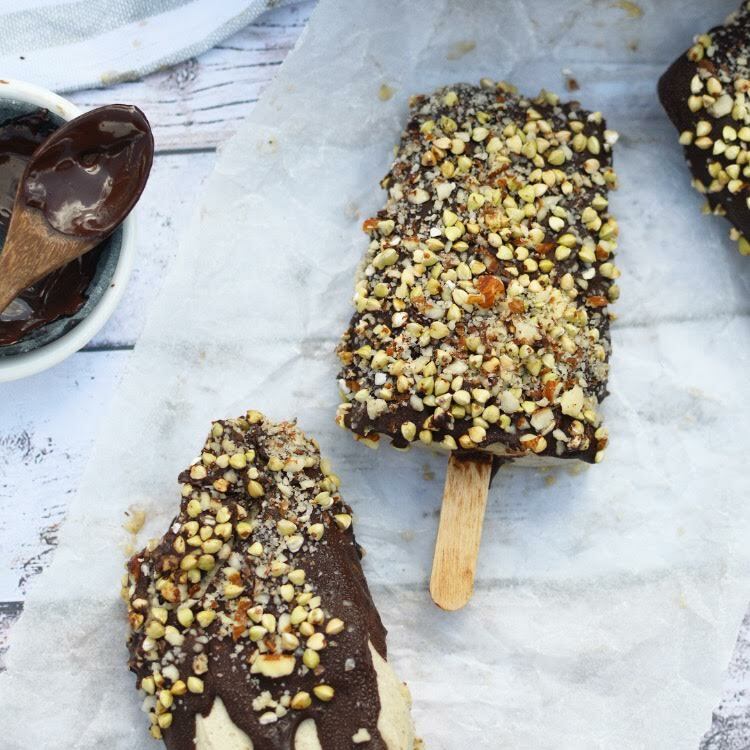 Dip each popsicle in chocolate and sprinkle with the biscuit crumb. Place back in the freezer to set then serve. Student Style: Rock 1 Dress, 4 Ways!